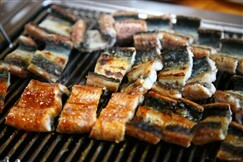 Jangeo-gui is a Korean food made from fresh water eels. Jangeo-gui literally translates to ‘grilled eel’. 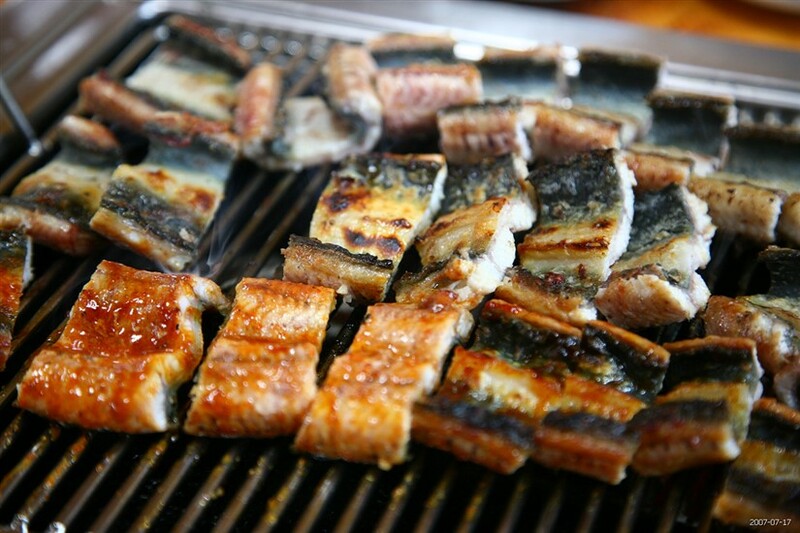 The eel can either be broiled or grilled and people mostly eat it in summer. Koreans believe the dish improves stamina and help prevent heat exhaustion. 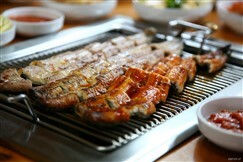 The eel is filleted, grilled on a charcoal grill, cut into small pieces and served with various side dishes. It is usually seasoned with sesame seeds, sesameoil, sugar and soy sauce. Ginger, garlic, green onions and white pepper powder can also be used to season the eel. Modify seasonings to create a unique taste. The eel is cut into bite sized pieces, garnished and served hot. It can also be wrapped with lettuce leaves or sesame leaves before eating. Jangeo-gui is usually served with various dipping sauces. Salmon and beltfish can be used as substitutes for eel. This dish tastes delicious in combination with wine or soju!